Admission free. Opening times: 12pm - 11pm Saturday; 12pm - 9pm Sunday. Dogs welcome but please keep them on the lead. FREE firework display 9pm Saturday night. 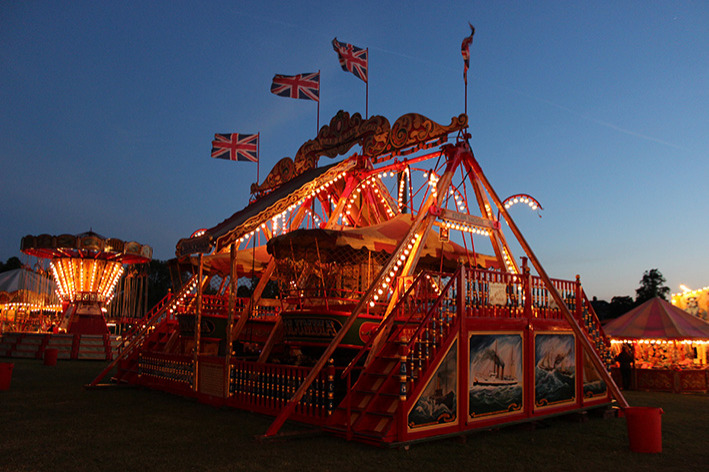 With Fairground Art & Heritage Tour on Friday evening, and classic vehicle Road Run on Saturday morning. Postcode: SL6 5DS. Getting there: By bus: The 5 or 5A stopping at Adj Clarefield Drive. By train: The Green is a 40 minute walk from Maidenhead railway station. By car:There are a number of residential streets offering parking - please park your car responsibly.